"My music is very much about the actual sound of the instrument. Rather than running for raw loudness, I'm trying to interweave musical structures and timbres, trying to listen to what the instrument tells me. Each piece should be able to unfold itself and find to its unique and appropriate tone." 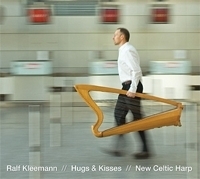 Ralf's harps were designed at the instrument workshop of the North German luthier Frank Sievert, who looks back to more than 25 years of harp making experience. 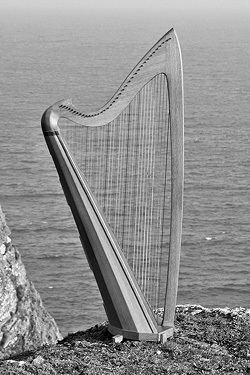 He has been creating several generations of modern Celtic harps with some unique design features and an unparalleled sound. The pictured model is called "Silmaril" and features custom-made semitone levers, a shielded pickup system and a sound board that can swing freely in the bass section.